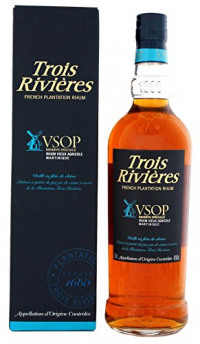 "70cl / 40.0% - The Trois Rivieres VSOP expression is allowed to mature for at least 5 years, resulting in a well flavoured, rich rhum agricole. This comes from the Caribbean island of Martinique. Impressively, it took home the Rum Trophy at the 2018 International Wine & Sprit Competition (IWSC)."